Asia’s investment bankers’ bad habits from initial public offerings have spread to Chinese bond deals. A scarcity of new equity offerings has forced underwriters to crowd onto a dwindling number of issues. Though bond issuance is booming, the pile-up is happening on the debt side too. Bond issuance by Chinese companies has risen almost fivefold in seven years, according to data from Thomson One. Chinese companies have raised $233 billion on- and off-shore since January, putting them on track to issue a record volume of bonds in 2013. It’s a stark contrast to IPOs, where the amount raised by Chinese companies has halved to just $9.2 billion this year. But the bond boom has prompted banks to scramble for a role on new issues. Sinopec Capital had 12 book runners when it raised around $3.5 billion in April, while China Galaxy Securities and Huatai Securities used the same number of banks on deals worth less than $600 million each. In 2007, the maximum number of book runners on any Chinese deal was seven. The trend allows bankers to look busy: all book runners get equal credit in industry league tables. But financial rewards are not evenly distributed. The three to five lead banks on a bond deal will typically pocket 80 percent of the total fee. For companies, adding a few more banks to a bond syndicate is a cost-free way of keeping their lenders happy. For commercial banks trying to establish their bond market credentials, moving up the league tables is better than nothing. Nevertheless, at a time when banks are paying close attention to how they allocate costs and capital, working for measly fees is a poor way for bankers to justify their existence. The drought of IPOs has forced equity capital market bankers to find other ways to show their worth, such as by arranging convertible bond issues. Banks are missing the opportunity to correct bad habits in the bond market at a time when they can afford to be picky. Chinese companies are on track to issue a record volume of bonds in 2013, according to data from Thomson One. Bond issuance from Chinese companies on- and off-shore has totaled $233 billion in the year to Nov. 12 compared with $245 billion last year. 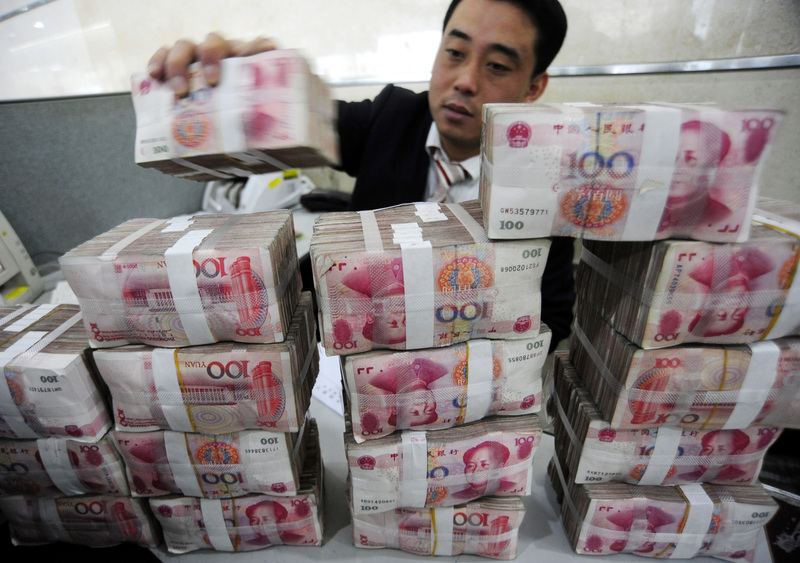 In 2007, Chinese companies issued bonds worth $49 billion. China Galaxy Securities, Huatai Securities, and Sinopec Capital hired 12 book runners each for their bond issues this year. In 2012, Bitronic and China Oilfield Services Limited had 11 book runners each on bond issues. In 2007, the highest number of book runners on any deal was 7.